In the first six months of 2014, there were 130 reported grid outages – which puts that six month period as having more outages than all but four years since 2000. Locations are shown as the center of the state where the outage occurred – even though the outage could have covered only part of a state, or several states. Larger, darker points represents power outages that affected more people – up to 4.6 million lost power in the largest reported grid disruption event. 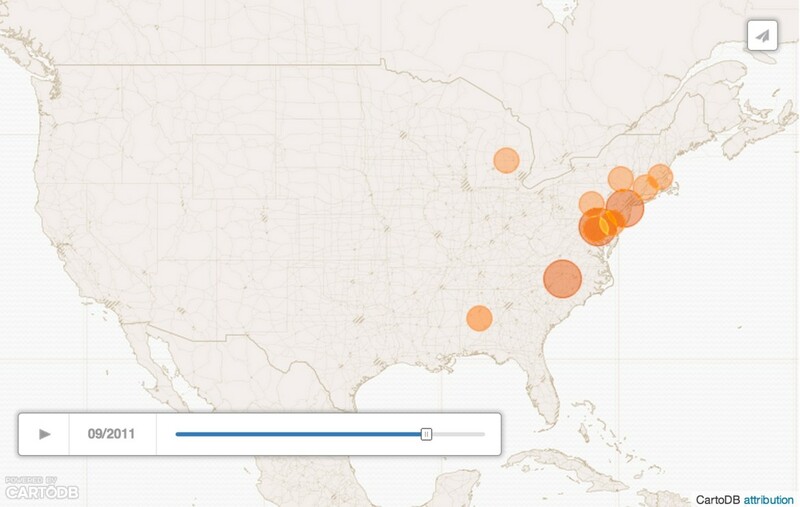 This database chronicles 15 years of power outages in the U.S. The numbers show a startling increase in the number of outages, blamed on an outdated grid, aging infrastructure, and an increase in extreme weather events.